For anyone who records at home using a computer, the big issue has always been power. We've all been there: sitting at the computer, trying to add that one last effect that will make the mix perfect, only to be thwarted by our aging machine’s inability to run one more plug-in! In a perfect world, we would all have Pro Tools HD systems in our homes, with thousands of extra DSP chips just waiting to be used for sonic creation, right? Dream no more! 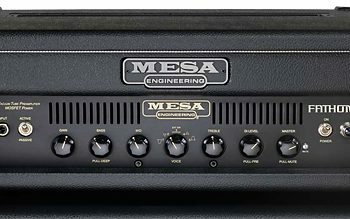 As more recording sessions move from the pro studio to the project studio, musicians and engineers alike have come to realize that computers alone may not be powerful enough to handle the mixing they wish to do, particularly when they are forced to rely more on plug-ins than dedicated studio hardware. TC Electronic has stepped up to the plate with a great solution to this problem: PowerCore. The PowerCore family of products, crowned by the PowerCore Firewire, provides a dedicated hardware solution for running processor-intensive plug-ins on external digital signal processing (DSP) hardware instead of using valuable CPU resources in your host computer. The PowerCore Firewire is an excellent bridge for the gap between semi-pro setups and full-blown professional studios. Rather than investing in a Pro Tools HD rig, for example, this solution enables you to gain much of that dedicated hardware benefit for use with more reasonably priced Pro Tools LE-based systems. Takes the processor load off your computer, allowing it to focus on other things (like making music). If you don't want to spend money on buying a new computer, this is a great solution for squeezing new life out of your existing system by off-loading plug-in processing to an external host. Includes some great high-end plug-ins that aren’t available for use with host-based products like Pro Tools LE or Logic Audio. Easy to use. You can install this and be up and running within minutes. Great third party support. You can run the suite of Sony Oxford plug-ins on a PowerCore Firewire for a fraction of the price of a Pro Tools HD system, and electronic musicians will love running products like Access Music’s Virus | PowerCore on dedicated hardware. Our one gripe: Lack of native RTAS support. Although PowerCore products support use of FXpansion’s VST-RTAS Adapter, running a VST-RTAS wrapper impact the way all VST plug-ins are displayed within Pro Tools LE systems, and adds a layer of complexity that deters from the overall smooth performance. 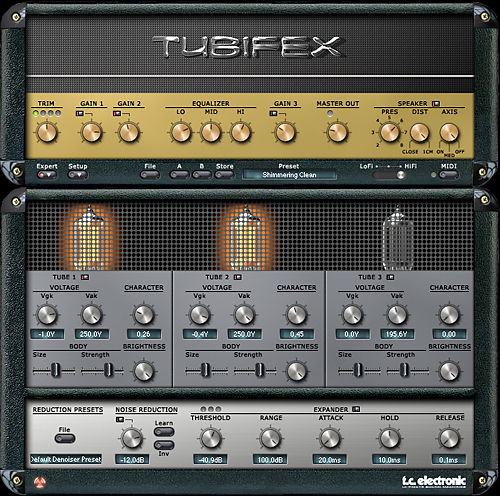 It complicates installation of some plug-ins that ship with multiple formats since some plug-ins will end up installed in your system as both native RTAS plug-ins as well as adapted VST plug-ins. Given the attractiveness of this product as a perfect middle ground for Pro Tools users not ready to spend for HD systems in their project studios, the lack of native RTAS support is a surprising omission. For users of Audio Unit and VST recording tools, however, there’s no issue. TC Electronic’s PowerCore series features DSP chips specially designed to handle audio. 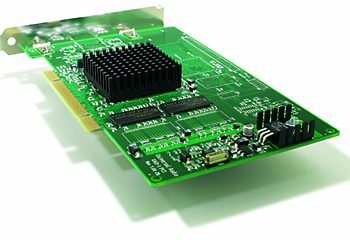 You can buy it in five different configurations: PowerCore Firewire, PowerCore Compact, PowerCore PCI Mk II, PowerCore Unplugged, and the new PowerCore PCI Express. All the products have four DSP chips except the PowerCore Compact, which has two. The PowerCore Firewire come with a wealth of useful plug-ins. All the bases are covered, from optical compressors to reverbs (including a great emulation of the EMT 250), delays to filters, tube distortion to EQ. Just about everything you need to make a great mix is here, and you can use each effect numerous times until you run out of DSP processing power. One of the biggest concerns with any external DSP-based system like this is latency. How much lag will you get when you insert one of these plug-ins? For older computers that can’t keep up, TC Electronic has included a compensator plug-in just for such occasions. A cool point worth mentioning is that TC Electronic is working very hard to get third party development for PowerCore. This means that other companies are making plug-ins to run on the PowerCore DSP chips. Already, some heavy hitters have brought their offerings to the table: Sony Oxford effects, Access Virus|PowerCore, Novation V-Station|PowerCore, and Waldorf D-coder to name a few that are available now. We installed the PowerCore Firewire on a Power Mac G5 2.0 GHz Dual running Logic Pro 7.2 (using the Audio Units versions of the plug-ins), and a Power Mac Dual-Core G5 2.0 GHz running Pro Tools 7.1 LE with the FXpansion VST-RTAS Adapter. Installation was easy and the hardware worked smoothly on both systems. The PowerCore systems are as easy to use as any other plug-ins. There was no special configuration necessary with our PowerCore Firewire. We just selected plug-ins from within our host applications and they ran on the dedicated DSP hardware. To help you see how much power you are using (and how much you have left), a little program (called PowerCore) is bundled that allows you to view the load placed on the DSP chips. PowerCore has a handy feature that keeps it on top of other programs at all times, so you know just where you stand with loading the heavy plug-ins in your system. Support for VST, Audio Units, and RTAS (via FXpansion’s wrapper application) ensures compatibility with all major recording applications. The VST-RTAS adapter made installation more involved on our Pro Tools LE system, but usability within Pro Tools LE was fine. Native RTAS support would make this the ultimate middle-ground product for Pro Tools users looking for an intermediate solution somewhere between LE systems and HD systems, though technically, the PowerCore Firewire still fits that bill nicely, albeit with some extra installation complexity. TC Electronic didn't get their reputation in effects by making sub-standard sounds, and this is no exception. The included plug-ins all sounded very professional and clean. They are warm where they need to be and gritty when it’s time to get in your face. The reverbs are great – really clean, with lots of tweak-able parameters to tailor the sound to your needs. The chorus effects (for which TC Electronic is famous) like-wise are clear and easy to add without over-powering the original sound. The EQ plug-ins also worked great. The five-band EQsat Custom was a really nice EQ that was easy to use and at well in a mix wherever we placed it. All the effects really shine for use in mixing tasks, but why stop there? Most of the effects can be pushed into the world of wackiness (with many included presets), making PowerCore an excellent tool for sound design and sample manipulation. Filtroid: Looks like something out of sci-fi movie. With visual graphs to show you what's happening to the sound, this plug-in can be visually entertaining for hours. It also sounds great. Three filter types are provided: Low Pass, Band Pass, and High Pass. These can be modulated with an LFO and an envelope. The magic happens because there are two filters with the above specifications and modulators. We could run them serially (in sequence), or parallel, in stereo. The presets included offered all kinds of sonic goodness, and really showed off what these filters could do. Character: Is similar to a BBE Sonic Maximizer. 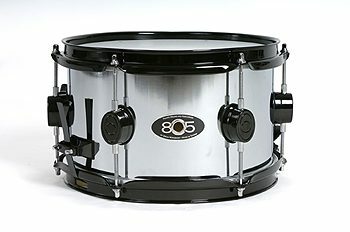 You can throw just about any kind of sound (or even a whole mix) at it to make the music source stand out. If you're a fan of the BBE Sonic Maximizer then you won't want to miss this! TC Tools: Used to be found only in Pro Tools HD systems, but not anymore! This set of effects covered everything from Reverb to EQ and was a big plus being included with this box. These effects sound great and are almost worth the price by themselves. Six plug-ins were included, with the TC Thirty (a clone of the 1961 British Vox amp) available as an add-on. The support for PowerCore is great. We found everything we needed easily and quickly online. TC Electronic's website has a support section and a tech library that is kept well up-to-date. All the latest drivers can be found in this area for download, as well as manuals and tips. It would have been helpful for the included documentation to address installing the FXpansion VST-RTAS adapter for use with PowerCore. 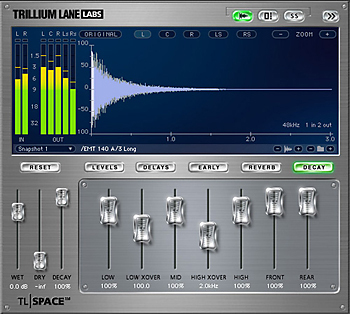 Although it isn’t a TC Electronic product, many users will purchase FXpansion specifically for the ability to add this hardware solution to their Pro Tools LE-based project studios, and directions for the process of installing and configuring these products to work together would have been nice. The PowerCore Firewire (MSRP $1,795) retails for approximately $1,200. We consider this very reasonable considering what you get in terms of processing power and bundled plug-ins. For the budget-minded home studio, the PowerCore Compact provides portability and an even lower price. Even though computers are increasing in power exponentially, a product like PowerCore is a welcome addition to the project studio market. 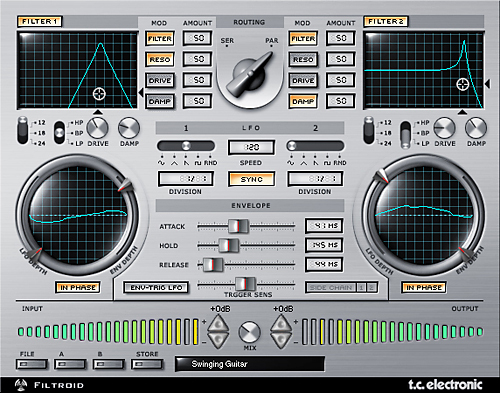 It helps take the strain off the computer's processors and allows it to focus on other tasks, such as software synths. For a producer who is mixing with lots of plug-ins and virtual instruments, the PowerCore Firewire significantly expands the processing power of your system at a reasonable cost. Tony Grund, Keyboards Editor, is a NY-based electronic musician, producer, and music technology consultant. Besides recording music with bands Echostream and Unicorn Smack, Tony is a partner in the independent label, Force of Change Records, and a recording instructor at the SAE Institute in Manhattan.